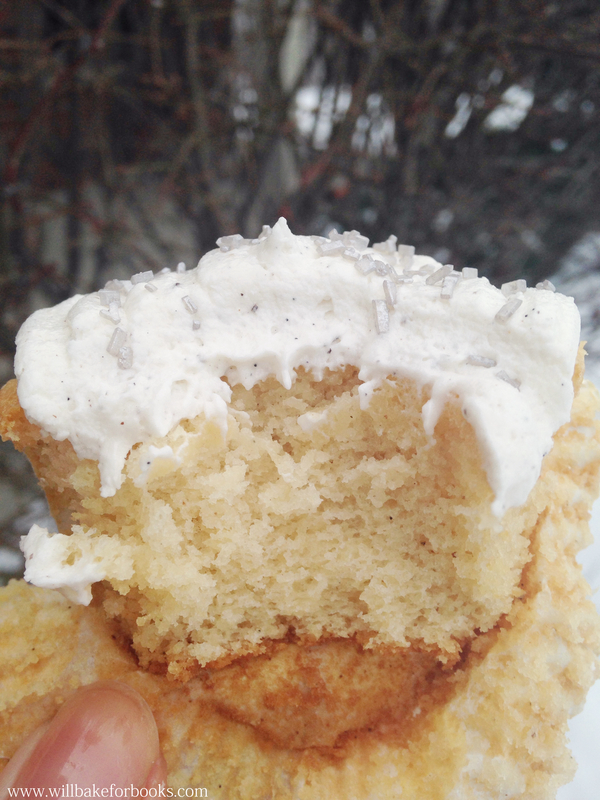 A traditional vanilla cupcake made fun with a citrus, vanilla, and spice liquer! Preheat oven to 325 degrees F and line cupcake pan with liners. In a mixing bowl, put together flour, sugar, and butter. Beat on slow speed until fully incorporated and you have a crumb mixture with a sandy consistency. Gradually pour in ¼ cup of the evaporated milk; beat only until milk is incorporated. In a small bowl, whisk together the remaining evaporated milk (1/4 cup), egg, and vanilla. Pour the milk-egg mixture into the flour mixture and beat until all ingredients are just incorporated. Beat for another 30 seconds or until the batter is just smooth. Do not over mix. Spoon batter into cupcake liners, filling cups ONLY half full. These cupcakes WILL rise! Bake for 18-20 minutes, or until light golden and the cake springs back when touched lightly. Cool for a couple minutes in pan before removing to wire rack. Prepare Licor 43 glaze by mixing together ¼ cup evaporated milk and ¼ cup Licor 43. Poak a few small holes in each cupcakes using a toothpick. 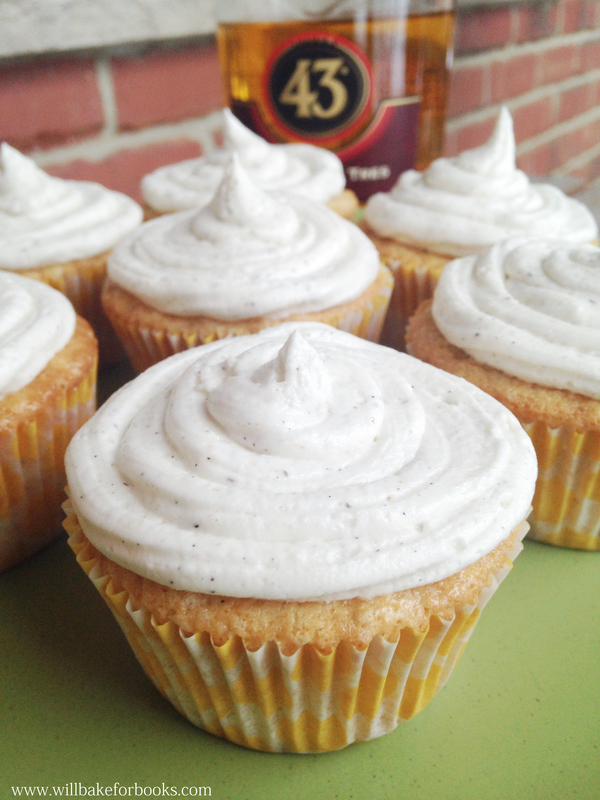 Using a pastry brush, brush the milk-liquer mixture onto warm cupcake tops. Make frosting while cupcakes are cooling. For Licor 43 buttercream, beat butter in a mixer on medium speed with paddle attachment for a few minutes. Lower the speed, add 1-1/2 cups of powdered sugar and mix until incorporated. Increase speed to medium, then add vanilla and Licor 43. If frosting needs a more stiff consistency, add the remaining powdered sugar. 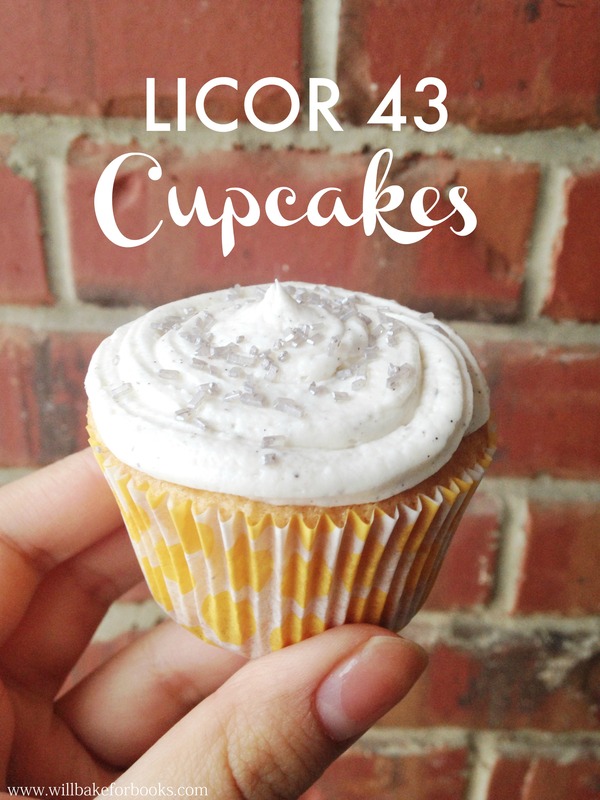 If frosting needs to be thinned more, add more Licor 43. Frost fully cooled cupcakes using a pastry bag and tip. Top with sprinkled if desired. Enjoy!